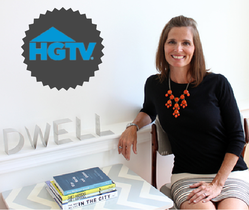 Our very own Christal Goetz was honored to be featured on a recent episode of House Hunters on HGTV. She did an amazing job helping this D.C. couple find their dream home! Ariel and his fiancee, Julie, want out of their one bedroom apartmentand into a place of their own. They both want to live near downtown D.C., but that’s about all they agree on. Ariel’s looking for a traditional style condo and wants move in ready, while Julie’s hoping for amodern style house, and is open to renovation. With a budget of up to $650,000, can they find a compromise? Read more about the episode HERE.